Players playing for real money often receive numerous playing incentives. New players are welcomed with a $500 no deposit bonus. However, the welcome bonus is activated with a deposit of at least $20. Players are also served with newsletter promotions and point-based loyalty system that will see them grow their bankroll. The variety of games offered at Mummys Gold is impressive. Their gaming library features, slots, baccarat, blackjack, video poker, keno, and scratch cards. The 250 + games offered here will undoubtedly serve the gaming interests of any punter. The free mode gives players time to learn and build their confidence before they start playing for real cash. Mummys Gold Online Casino has collaborated with Microgaming, which is a global leader as far as casino game development is concerned. Microgaming, known for designing exceptional slots and other game varieties, undoubtedly meets the expectations of punters visiting this site. Punters at Mummys Gold are in for a real treat as far as online gaming is concerned. Players are expected to deposit some funds into their accounts to play for real money. Players are served with a variety of options as far as loading their accounts is concerned. Some payment methods offered here include Neteller, Skrill, PaySafeCard, Entropay, Instadebit, debit/credit cards, and PayPal among others. Notably, there are no fees for deposits here. When it comes to making withdrawals, Mummys Gold Player’s enjoy many options. As expected, the numbers of withdrawal options offered are fewer than those that can be used to make payments. Players can use credit/debit cards, Neteller, Skrill, PayPal, and Entropay. It is worth noting that the withdrawal limits are capped at 4000 Euros weekly. Mummys Gold website is available in several languages, which are English, Spanish, German, Italian, Danish, Swedish, Norwegian, Finnish, Greek, and Japanese. Its availability in these languages has seen it open its doors to punters around the world who are conversant with these languages, thus living to its dream of being an internationally-recognized casino. Mummys Gold opens its doors to players from different nationalities. It allows players to use several currencies when playing real money games. The accepted currencies here include Euro, US Dollar, British Pound, Canadian Dollar, Norwegian Kroner, and the Swedish Krona. Thus, players without these currencies are required to convert their local to an accepted denomination. 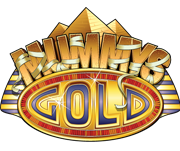 Mummys Gold supports the instant play or “no download” casino system. This implies that all games on this casino are playable on computer and smartphone browsers. However, players who prefer playing on the downloadable version are at liberty to download the software. The software is known for its specialized interface, which makes playing delightful. When it comes to customer service, Mummys Gold offers live chat support, toll-free phone support, and email support. Each of these three support options is easily accessible on their website. Even better, players are assured of 24/7 customer support in English. However, the working hours for customer support might vary for the other languages.